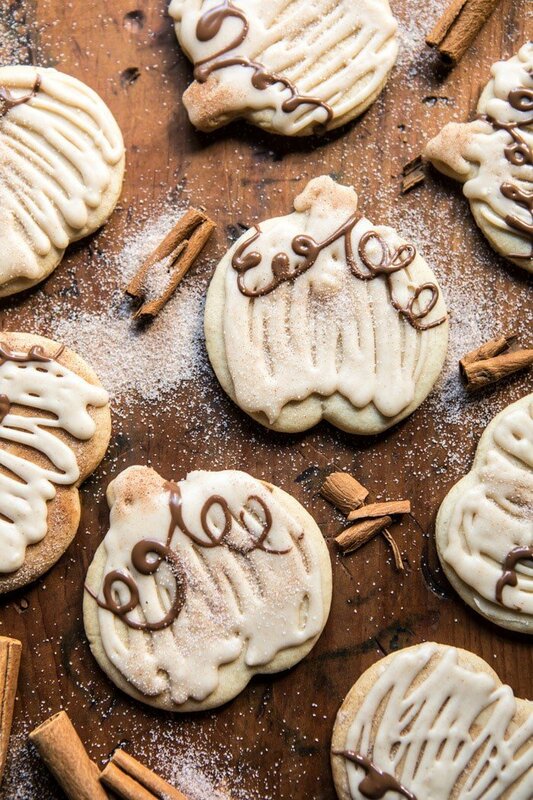 Cinnamon spiced sugar cookies with browned butter frosting…shaped like cute little pumpkins, because it’s basically October and time for all things pumpkin. Happy Friday everyone!! Hoping you’ve all had a great week. I had an interesting day on Wednesday. I went down to Denver late in the afternoon to fly out to LA to film for Hallmark Home and Family and ended up back at home that same night. Let me explain, we were about to leave the gate when we were told there were mechanical issues and the plane could not fly. Totally not fun, but better known on the ground than in the air! I made a call to the super nice people at Hallmark to explain the situation and they were so sweet about my travel mishaps. They offered to simply Facetime the interview, and even agreed to reschedule a live interview when I’m in town in mid October. I had such a fun time doing the Facebook interview (it airs this morning, so tune in to Hallmark! ), and am feeling just so grateful for all these amazing opportunities. Okay, on to these cookies, they are basically fall in a cookie…well, almost. 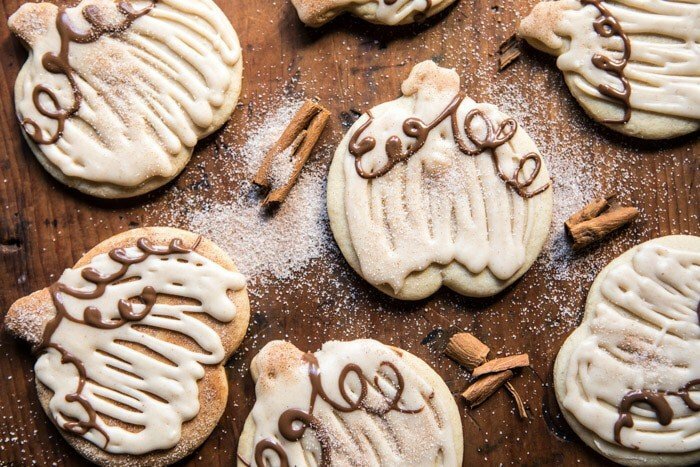 There’s no actual pumpkin in these cookies. One, I have so many pumpkin recipes coming up that I didn’t feel as though these cookies needed to have pumpkin included in the them. Two, I also didn’t want to start in on the pumpkin recipes too early. Personally, I can start to get a little bit of a pumpkin overdose before Thanksgiving is even over, and I’ve decided I’m not letting that happen this year. So long story short, I’m trying to pace myself with the pumpkin recipes this year. I’m going to try to slowly roll them out…but don’t worry, I have one all set for you guys next week! Anyway, I made these cookies, kind of on a whim, last week. Normally I try to have my blog recipes pretty planned out, but sometimes an idea comes to mind that either sounds so good or so fun to create that I just have to do it that very day. That’s what happened with these cookies. It was kind of a dreary, moody day…and very Halloweeny. I just felt like making something cute and pumpkin shaped was appropriate. 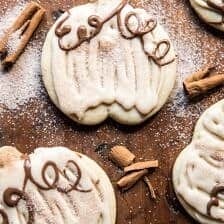 I’ve already shared my very favorite sugar cookies with you guys, but then I thought about making more of an autumn style sugar cookie, and these cinnamon spiced sugar cookies immediately came to mind. Of course, I had to make them in the shape of pumpkins. 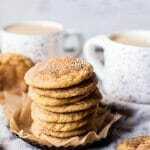 Like my favorite sugar cookie recipe, these are extremely easy to make. 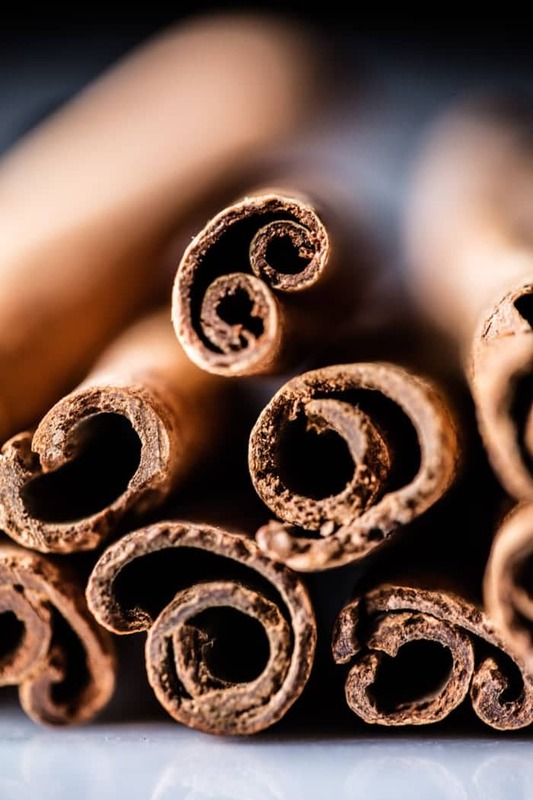 The only real difference is the addition of cinnamon and nutmeg. Adding cinnamon to a sugar cookie might not sound all that amazing, but trust me it is so good. 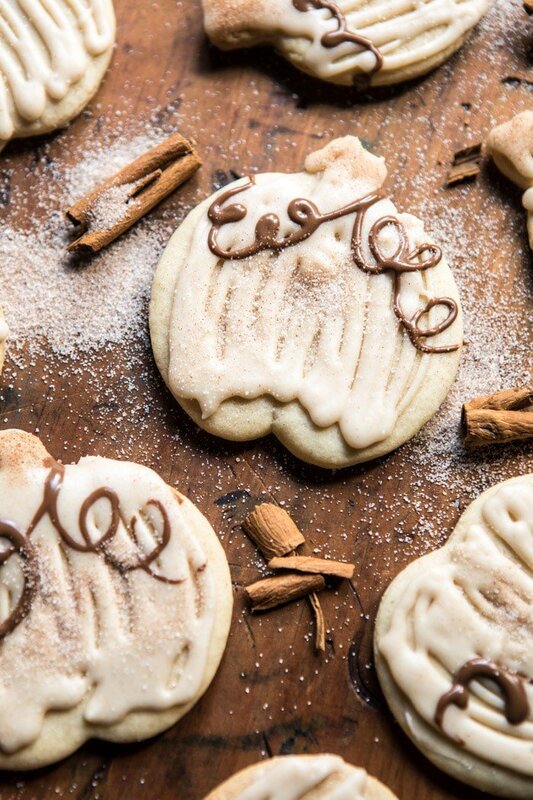 It’s basically like cinnamon toast, but in a buttery, soft sugar cookie form. And, as if the cookie alone was not enough, I went ahead and added a browned butter frosting. And then, to really seal the deal, I added the lightest dusting of cinnamon sugar. In full disclosure I added the cinnamon sugar more for a glittery look on my cookies, but I’m not going to lie, it was pretty delicious. OKAY, now here’s the thing. I am no professional cookie decorator. I may or may not have worked hours (seriously hours) on trying to make these cookies look like cute pumpkins, but the funny thing is, the look of the cookies you see here is not originally what I was going for at all. Nope, I was actually trying to make them look like real pumpkins. But you know what? Turns out that I love how these cookies ended up. I didn’t use any food dye and this simple design only takes minutes to create. It’s natural, rustic, and very me. Yes, kind of loving them. Also, the frosting…oh my gosh…THE BEST. And yes, that needed to be in all caps. The cookies are truly amazing on their own. 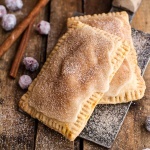 They’re soft, sweet, and loaded with cinnamon flavor. But let’s be real, what is a sugar cookie without frosting, you know? The frosting adds that special final touch, and well, it’s just delicious. The toasted brown butter and extra pinch of cinnamon just screams fall. Meaning you need to make these cookies this weekend and then every weekend from now until December. 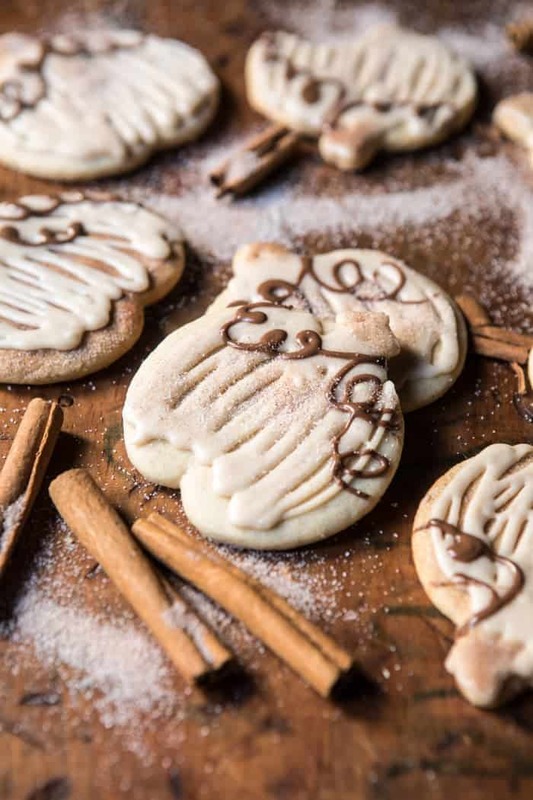 Oh, and when December hits, turn them into christmas shaped cookies! YES. DO THAT. Super cute pumpkin shaped sugar cookies...soft, sweet, loaded with cinnamon flavor, so delicious and so easy! Because it's basically October...and time for all things pumpkin! 1. 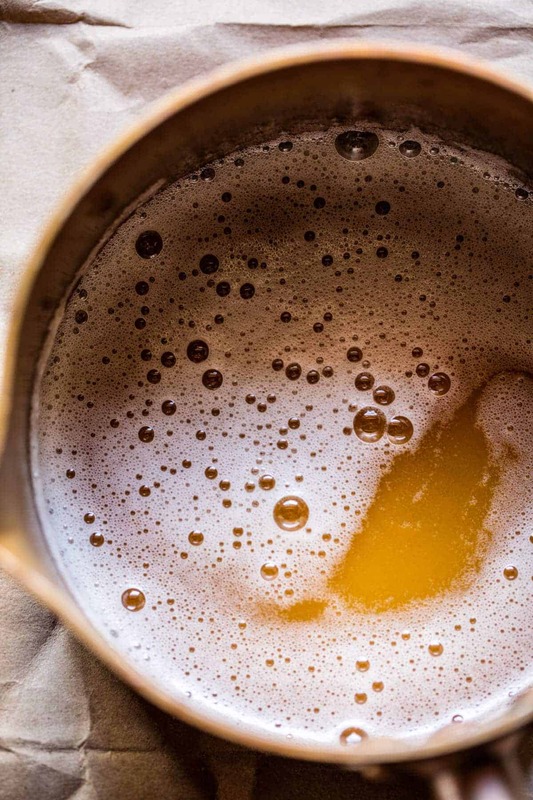 In a large mixing bowl, cream together the butter, sugar, and vanilla until light and fluffy, about 3-5 minutes. Add the eggs, one at a time, and mix until evenly combined. Add the flour, baking soda, cinnamon, nutmeg, and salt, beating until combined and the dough forms a ball. 2. Generously flour your work surface. Divide the dough in half and flatten each half into a disk. Roll out the dough to 1/4 inch thickness. Make sure you are using enough flour or your dough will stick. Cut out the cookies into your desired shapes. Carefully transfer the cookies to a parchment lined baking sheet. Cover the baking sheet and place the sheet in the freezer, freeze until very firm, about 15-20 minutes. Roll out the leftover scraps, and repeat with the remaining disk of dough. 3. Preheat oven to 350 degrees. Bake the cookies on the middle rack of the oven for 8-12 minutes (for soft cookies) or until just lightly golden brown. Do not over bake. Cool on the baking sheet five minutes and then transfer to a wire cooling rack to cool completely. 4. To make the frosting. Add the butter to medium pot. Allow the butter to brown lightly until it smells toasted, about 2-3 minutes. Stir often. Remove from the heat and let cool 5 minutes. Whisk in the powdered sugar, 2 tablespoons water, the vanilla, and cinnamon until smooth, adding 1 tablespoon of water to think the frosting as needed. If the frosting gets too thin, just add a little more sugar and if it gets too thick, add a splash of water. The frosting should be thin enough to drizzle, but think enough to hold it's shape. 5. Frost each cooled cookie. If making pumpkins, I used melted chocolate to draw on the pumpkin "leaves". Sprinkle lightly with cinnamon sugar. Keep cookies covered in an air tight container for up to 4 days. Cookies today…tomorrow we kick off “spooky” cocktail Saturday! 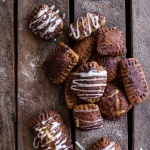 Cinnamon Sugar Nutella Swirled Pumpkin Pie Pop-Tarts. Nutella Banana Tarte Tatin w/Cinnamon Sugar Roasted Pumpkin Seed Hazelnut Crunch. My son went crazy as soon as he saw these and now he wants to bake them!!! They’re really cute! Awh that is so cute! I hope you two have a fun time baking these Ruth 😊 Thank you! These are so cute! And I imagine really tasty too. Looks like perfection to me Tieghan! Can’t wait to make these!! Thank you Kathy! I hope you love these! 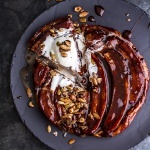 I have seen similar recipes, but I have to say that this one calls my attention because it’s only cinnamon, I sometimes find people use pumpkin too much, so this is perfect! I am glad you’re liking these! Thank you Jenny! 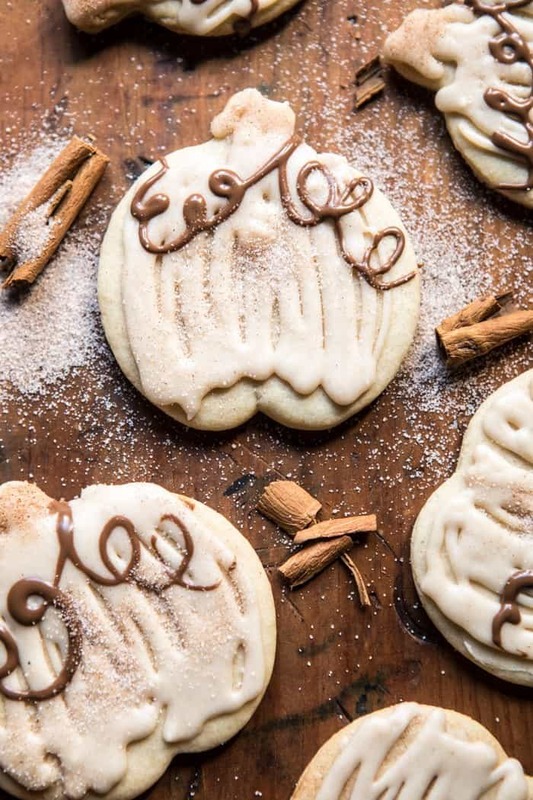 Are these as soft as your cream cheese sugar cookies? Everyone loved those so much!! These are so cute!! Definitely want to make them this weekend. 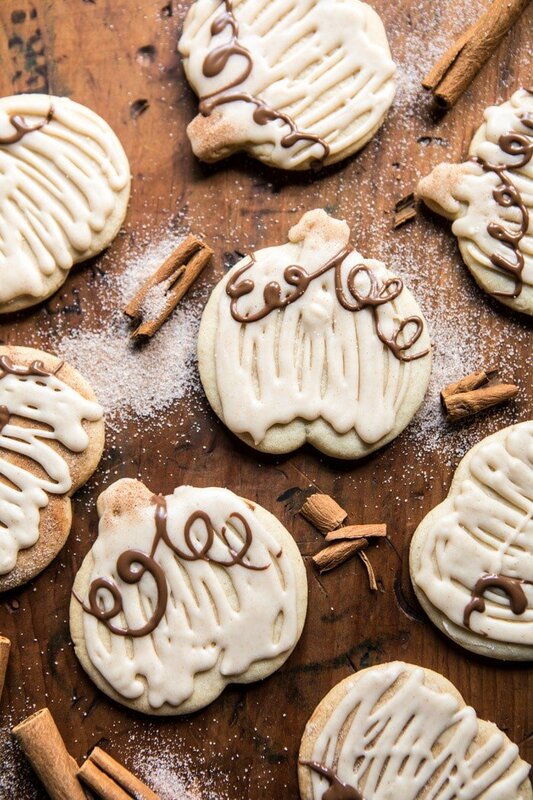 Do you know where you got your pumpkin cookie cutter from? Thanks!! Hey Stephanie! I believe target, but here is a good one below! Target has them for $2.99 I have two closings today for real estate and I’m making these for my buyers. Hi Beth, let me know if you have questions about the chocolate. Thanks so much! Will you be able to put up a link to the Hallmark interview. I would love see it. Oops ! That should be a ? HA! Does the frosting get hard over time? Are you able to eventually stack the frosted cookies without smudging them? Hey Tamra! This frosting does not get hard, so sadly it does smudge, but they taste great! I had the same question. My frosting was actually very thick so I added quick a bit of half and half but left it once it resembled a frosting. I left them out for and hour or two and the frosting hardened just enough to be able to stack. So I would recommend keeping the frosting thicker if you want it to harden :). These are so cute!! And that frosting sounds amazing. Have a great weekend! These are the most gorgeous pictures!! They are so cute, and I love how there is no food dye. Yum! These look lovely and made me smile when I saw the little cinnamon pumpkins. They remind me of French toast snickerdoodles. I’m glad you were able to do your interview, although your flight was canceled! I’m looking forward to seeing it and for the pumpkin recipes (and fall baked goods ☺️). I am so happy you like these! Thank you Kristin! I made these adorable cookies today and was not disappointed! They look and taste wonderful, really. I will add a couple comments. The frosting did not come out to look like the picture. It tasted good but there was no direction as to how thick it should be so I had to add a bit of heavy cream to achieve what the picture looked like. I would definitely made these again but I wonder what went wrong with the frosting?? Hey Sandy! Thrilled you loved the cookies so much! So nothing went wrong with the frosting, it’s just a matter of needing to thin it a bit, which you did! Frosting can need more or less powdered sugar depending on your climate and how dry the air is. Sometimes you just need more liquid and other times a little more powered sugar. The frosting should be spreadable, similar to peanut butter. Hope this helps! Thank you again! I made these adorable cookies today and was not disappointed! They look and taste wonderful, really. I will add a couple comments. The frosting did not come out to look like the picture. It tasted good but there was no direction as to how thick it should be so I had to add a bit of heavy cream to achieve what the picture looked like. I would definitely made these again but I wonder what went wrong with the frosting?? I also cooked them for 14 minutes. 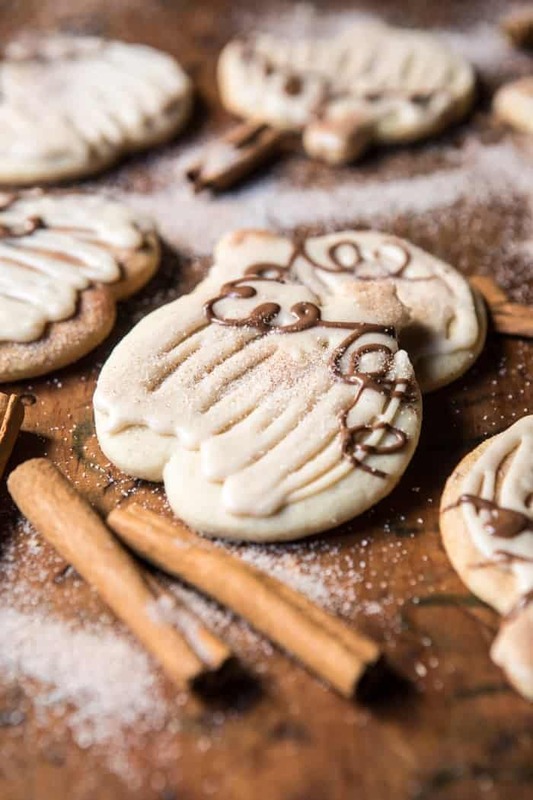 These cookies are adorable, so perfect for fall! Muito boa receita, queria muito ter esses dotes culinários para preparar essas receitas mas infelizmente não tenho mas salvo para minha sogra fazer ela prepara muito bem e essa sei que vi ficar maravilhosa como sempre. Espero que você ame isso. Obrigado! Hi Patty! I did pipe the strips on using a ziplock bag with the corner snipped off. So easy! 🙂 Let me know if you have other questions. Hope you love the recipe! Thank you! Tiergan! Every recipe is a favorite…so happy to have followed you. Want to freeze these…before or after frosting? These are absolutely adorable and the recipe sounds delicious! I don’t think we could eat through 5 dozen in 4 days though, how would you suggest freezing them? Thank you for the recipe! Wow! These look amazing! I can’t wait to bake them! 🙂 I was also wondering if you piped the frosting on? If so, what size tip did you use? Thanks so much! This icing recipe unfortunately didn’t work for me. The cookies turned out fine, but the icing was more like frosting. One stick of butter did not seem to be enough, and I would have had to add so much butter (or another liquid) to fix it… If I could give some constructive criticism – just to make these a little more beginner friendly – give a bit more specific direction, and maybe offer helpful tips to the possible outcomes, especially for the tricky parts like icing. Although they tasted wonderful, I wish mine could have looked like yours; I just could not for the life of me get the icing right. Sorry – I know this was meant to be frosting, but I mean to say mine was too thick to ice onto the cookies and make them look like yours. Whoops! Hey Lena! Sorry the frosting did not work for you. I will try to add in some tips in the future! Thank you. Really yummy. The only issue I had was with the Frosting. But just had to adjust it a tad. Big hit at our place. I am so glad you loved these cookies Sam! Thank you!! I had a very hard time rolling these out and keeping them from sticking. I added in extra flour and it was still a little hard to work with. I ended up using two pieces of wax paper and rolling them between those and the paper pulled of really well(still need to use flour). Once I figured that out it was a breeze. Planning to take them in to share with my office today. Love the blog/instagram Tieghan, can’t wait to buy your cookbook! So sorry it was difficult for you to roll out Betsy, but I am really glad it worked with the wax paper! I hope your office loved these! 😊 Thank you! DO you need to grease pan when cooking them!? About to put them in now! Must try them, they sure look pretty and delicious. Hello! I was wondering if it was essential to put the dough in the freezer? What does this do? I am making these for a wedding favor . Hey Sandy! I am so sorry you’re having trouble with the site. I will look into what is going on! I love cookie recipes and my daughter and I usually go all out around Christmas. But sometimes I don’t really want to take the time to make the fancier decorated cookies and look for some I can just roll, refrigerate, and cut. Do you think these would work that way? They sound too delicious to pass up!! I made these cookies for my son who is turning 28 years old on Halloween! I hope he appreciates the time and effort I put into them. Not my best when it comes to baking, but I had so much fun making them! Thank you. I am sure they turned out great! I hope he loves them Marilyn! Thank you! Can’t wait to make these for Thanksgiving! Just curious to know what type of chocolate you used for melting as not all work the same! Thank you! Looks delish! I can’t wait to make these! Hi! I read a comment asking about how the softness of these compare with your cream cheese sugar cookies, and I’m curious….do you have a favorite?? I’d like to go with softest one, adding cinnamon to the cream cheese ones (if you would recommend that.) Also, since that recipe makes less cookies, would you cut the amount of cinnamon in half? Would you add nutmeg, as well? Sorry for all of the questions! Can’t wait to try them!! I just wanted to thank you for an amazing recipe! I went with your suggestion and made these…and I’m so glad I did. They are delicious! I made half a batch, because I didn’t think we would need five dozen. However, I wish I had made the full recipe! I had to hide them from the family, otherwise there wouldn’t have been any left for Thanksgiving day. 🙂 Thank you for your help and the wonderful recipes. Happy Thanksgiving! Haha I love that you had to hide some and that you loved these! Thank you Kara! Seemed like it would be good, but the frosting never worked. I tried it multiple times and it was oily and chunky.I wonder what went wrong. HI Hannah, so sorry you had trouble. Let me know if I can help to answer any questions for you. Hope you had a wonderful Thanksgiving! Also-what song is playing on the video? I made these last night. I added apple cider to the icing instead of using water and they were amazingly delicious. I always love making your recipes!! What a good idea!! Sounds yummy. Thank you for making it Arleen! So you don’t chill the dough before cutting out? These are SO good! The frosting tastes like caramel:). Seriously yummy, like all your cookies I’ve baked so far! My kids love you now that ‘mummy can cook’ but not sure my waistline does!!! I am so glad you and your kids loved this Sophie! So perfect for fall! Thank you! Late to the game as far as commenting…hopefully you can still help! 😬 I have made the cookies twice, absolutely delicious! Both times I’ve had trouble w the frosting though. When I add the water it splits. 🤷🏻‍♀️ Any suggestions for me? I’ve see. Some people have used heavy cream or half and half. I could try that but didn’t know if I’m doing something way wrong. Ha! Thank you for a killer fall cookie recipe!! Tieghan, I finally had the chance to make them. I also uploaded a picture on Pinterest. Can highly recommend them, so good! Thank you so much for this inspiration! Thank you so much Jenny! I am so glad you loved these and I hope I will be able to see your photo! I hope you love these! Thank you! Can you freeze these before frosting them to make them ahead? I made these cookies for my Friendsgiving and everyone LOVED them! The cookie was nice a soft and the icing was so buttery and good. My husband, who isn’t a fan of sweets, ate a third of them before our meal started! This recipe was so easy to make and produced more than enough cookies. Thank you for the easy but so very cute decorative inspo. I can’t wait to search this site for another amazing cookie to take to my holiday party next month. Love this site!! Thank you so much Courtney! I am so glad you loved these cookies! I hope you had an amazing Friendsgiving!